Converting PowerPoint to PDF gives you ability to share your presentations for people who prefer working under Mac OS or Linux. Universal Document Converter is the most complete solution for the conversion of presentations, text documents and diagrams into Adobe PDF or graphical files. The underlying basis of Universal Document Converter is the technology of virtual printing. As a result, exporting PowerPoint presentation into PDF format is not any more complicated than printing on a desktop printer. 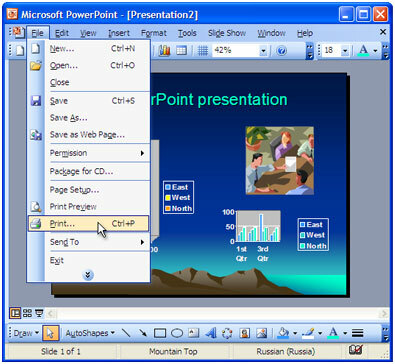 Open the presentation in Microsoft PowerPoint and press File->Print... in application main menu. Select the Document to PDF, Color, Multipage profile in the Printing Preferences window and press OK.
C:\UDC Output Files folder by default. 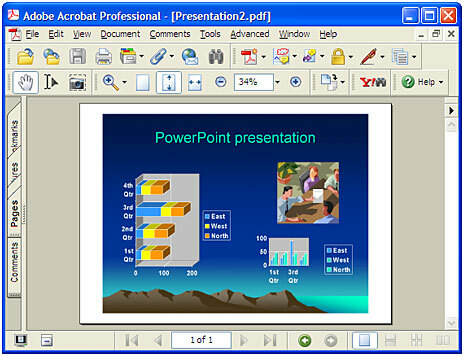 Converted presentation will then be opened in Adobe Acrobat or another viewer associated with PDF files on your computer. 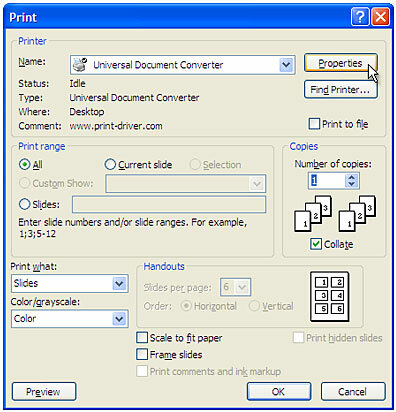 Print Conductor is a software for printing presentations, drawings and documents in batch mode. 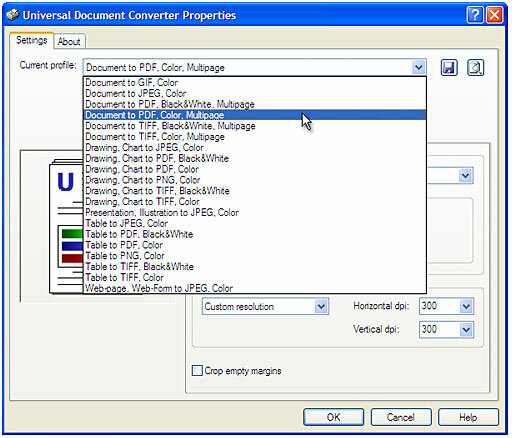 Just select Universal Document Converter in Print Conductor list of printers - and you will be able to convert a number of PowerPoint PPT and PPTX files to PDF automatically. Q1: How do I keep 100% of the quality of the presentation when I convert it to PDF? A1: After selecting Document to PDF, Color, Multipage profile in the Printing Preferences window, please change Color Depth value to True Color (24 bpp). Plus, open the Page Setup tab in the Printing Preferences window and increase the Image Resolution setting to 600 x 600 DPI. Q2: I need to convert daily hundreds presentations from PowerPoint to PDF. How can I automate this task? A2: PrintConductor software can print PowerPoint presentations in batch mode. If you select Universal Document Converter from the printers list, PrintConductor will use it for converting presentations from PowerPoint to PDF instead of printing them on desktop printer. Q3: I need to automate converting of presentations myself using VB.NET. Do you have any examples? A3: Yes, you can find source code examples for Visual Basic.NET and Visual C++ in Developer Solutions section of Universal Document Converter's site.